I’m picking up my son at school to take him to drum lessons. A guy strolls up and says exactly that. He had been reading WISDOM yesterday morning before work, and left the print copy on the floor. 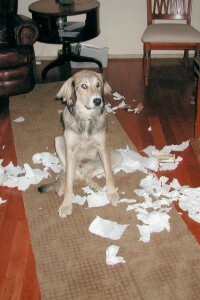 When he arrived home from work, he found that his pooch had destroyed the book. One entire chapter was ‘missing’.